Bradford UU is dedicated to living our faith outside as well as within the walls of our sanctuary. We know that any life of faith includes acts of witness, advocacy and justice to make the world a better place for all. Instructed by our Universalism which tells us that we are each deserving of and responsible to the great spirit of Love, we engage in justice issues as an act of devotion. Working with a number of partners in Kenosha and beyond, Bradford UU is actively working to change our world for the better. Won't you join us in our work? The mission of the Social Concerns Committee at Bradford Community Church UU is to take action on timely local, national, and global social concerns, as well as to inform and invite the congregation to participate in these actions. The committee strives to raise congregational and community awareness of its actions in addition to those of other advocate agencies and charities that address these same issues. The Interfaith Network Nightly Shelter (INNS) Team serves the homeless shelter each first Thursday of the month from October through April. The Bradford Team has served several years at the Immanuel Methodist Church INNS site. Money raised at the Valentine Soup Supper provides for a nightly meal, bag lunches, and breakfast. The Shalom Center Food Bank is a project involving members and friends of Bradford Church who donate nonperishable foods each work for the Shalom Center. The Bradford Zen Center leadership transports these food items to the Shalom Center’s pantry at 8043 Sheridan Road in Kenosha. Bradford's Social Concerns Committee is the primary group that represents the church on C.U.S.H. (Congregations United to Serve Humanity), an interfaith organization advocating for social justice in Kenosha. Issues that have received attention include immigration reform, public transportation, housing foreclosures, and local care for the mentally ill. Along with many other citizens from all over the community, committee members promote and participate in the Shalom Center’s Walk Against Hunger in May. Each year The “Little Red Sleigh” Fundraiser, organized and administered by Bea Lundgren, begins the second half of November and ends just before Christmas. The money collected in church is usually generously matched by Barth Storage before being donated to the Shalom Center. Finally, each month, our Social Concerns Committee selects a local or regional agency or service which provides aid and assistance to those in need or which advocates for needed social change. At a specified Sunday service, a member of the committee lights our Social Justice Candle and briefly outlines the activities of that month’s selection. During the service, one half of all cash donations placed in the collection plate are forwarded to that group, which is further augmented by those who choose to add a specific additional donation directly for that group’s support. What Is A Green Sanctuary? 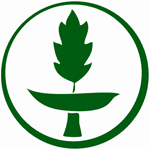 A green sanctuary is a congregation that lives out its commitment to the Earth by creating a sustainable life style for its members as individuals and as a faith community. Sustainable living is about choosing to live in a way that nurtures life, builds relationships, and rejects material consumption as the sole determinant of happiness. ​In order to reach Green Sanctuary status, Bradford Community Church Unitarian Universalist was required to conduct an environmental audit. Based on the audit, we chose twelve action steps to be completed over four focus areas. These areas are: worship, environmental justice, religious education and sustainable living. Bradford completed this process in June of 2003. Our committee is actively involved with the Pringle Nature Center, located within Bristol Woods County Park. The center is a regional resource where people of all ages can experience nature, environmental education, conservation and stewardship. More information about the Center can be found at pringlenc.org. Each year our committee helps develop the church service on the nearest Sunday to Earth Day. This service features an environmental theme, usually with a guest speaker. Past speakers have included Nan Calvert of "Wild Ones" speaking on creating a rain garden; and Sister Janet of the Eco-Justice Center describing the development of sustainable living at the Center. Recently we have formed a "Bradford Green Team" within our church. This team has plans to attend various environmental programs in the community, work on removal of invasive species at Pringle Nature Center, and participate in a recycling project at city events. CUSH is a coalition of congregations bound by our commitment to social justice. We believe in centering the voices of those most affected by issues in our community. We practice our faith by working together to change systems which harm our neighbors. In January, 2017, Bradford UU began a deeper conversation about support of the Black Lives Matter movement as a result of resolutions passed at the last two General Assemblies of the Unitarian Universalist Association. Please contact us if you would like to participate on our BLM Task Force. The Shalom Center's single-site emergency shelter for families and individuals will provide all eligible homeless people the opportunity to have a safe, clean place to stay with the ability to safely store belongings, and have access to bathroom/shower and laundry facilities every day. Bradford UU is proud to have representatives on the CUSH Immigration Task Force and seeks ever more ways to support our marginalized communities in Kenosha and beyond.